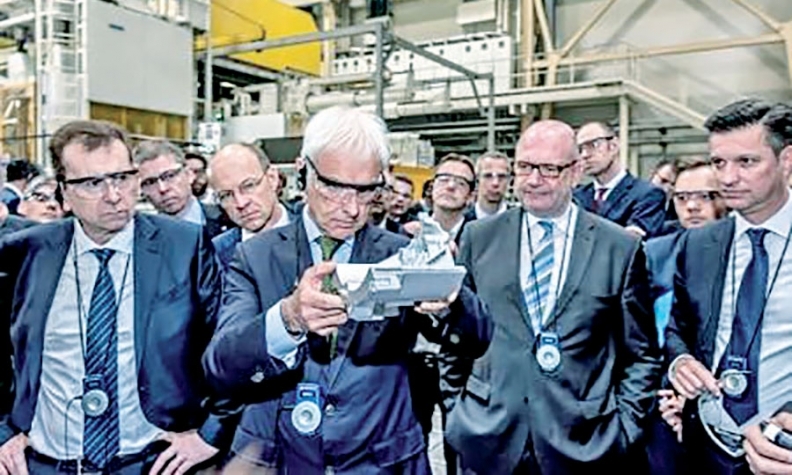 VW Group CEO Matthias Mueller inspects a part cast in the carmaker's foundry in Kassel, Germany. Volkswagen wants to make its in-house parts operations more competitive by bundling them into a single corporate business unit. The automaker believes a streamlined structure will strengthen the parts units. VW hopes to protect jobs at a time when its mighty German supplier neighbors — including Bosch, Continental and ZF — are investing furiously in advanced technologies for electric vehicles and autonomous driving. VW CEO Matthias Mueller believes one of the easiest places to start is with its electric vehicle components since they are still in their infancy and do not have a developed organization. But according to a source close to Mueller at the auto group, organizing EV parts into a separate legal unit could be the first step in a larger plan to create a larger and more efficient components group. "Bundling our EV components might be a door opener since all the brands will use the same battery modules," the source said. Details are still unclear, but company employees have been told of a new groupwide division comprising roughly 80,000 workers that would be in charge of all component activities. A team of senior executives already has been appointed to run the operations, but their influence is severely limited since they legally have no authority yet for a division that is only virtual. VW workers remain with the automaker under a specific VW contract. The existence of the new division was revealed in a newsletter published in October by the company's works council, with no accompanying official announcement by Volkswagen management. Mueller's medium-term goal would be to unite all powertrain operations throughout the group's brands. A window is opening for a more efficient sourcing opportunity now that the brands are all moving into EVs. 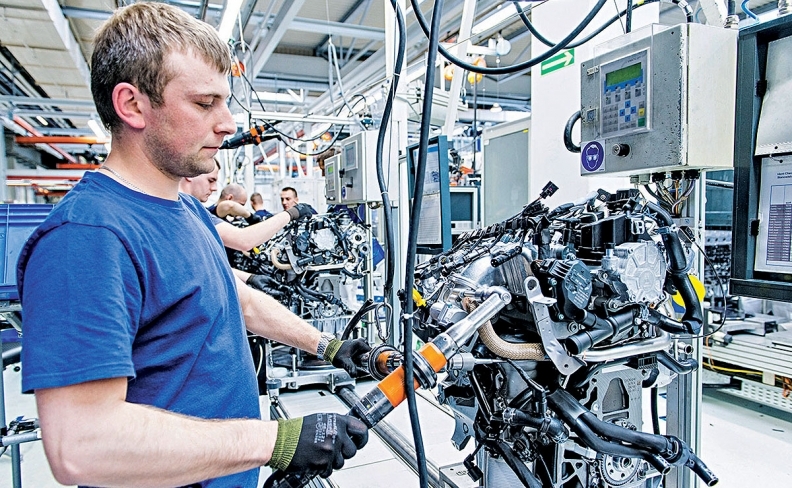 Job concerns weigh heavily on German companies. And Volkswagen is under pressure at the moment to become more labor efficient. VW is moving to consolidate component production around the world, starting with EV parts and powertrain operations, to become more competitive. The VW brand is in the process of shedding a net 14,000 German workers by 2020, just over a tenth of its work force, to boost margins that lag those of its volume sibling Skoda. Selling off underperforming components activities could give the carmaker a further boost in that effort. "We need seats," commented the company source. "But do we need to build them, too?" Frank Schwope, analyst with NordLB, believes the parts plan could make the VW brand itself more competitive. "If components are separated and get their own income statement, then not only do you increase the pressure on the unions once their poor results are visible," he said, "but the VW brand also looks better after this burden is removed."